Just 19 years of age, Jake Stewart is one of the brightest cycling prospects in the world. A strong sprinter and classics rider who can also get over short climbs well, he has the versatility to win on a wide range of terrain. He is one of our under-23 riders to watch this season. He took 5th in the junior world championships in 2017. 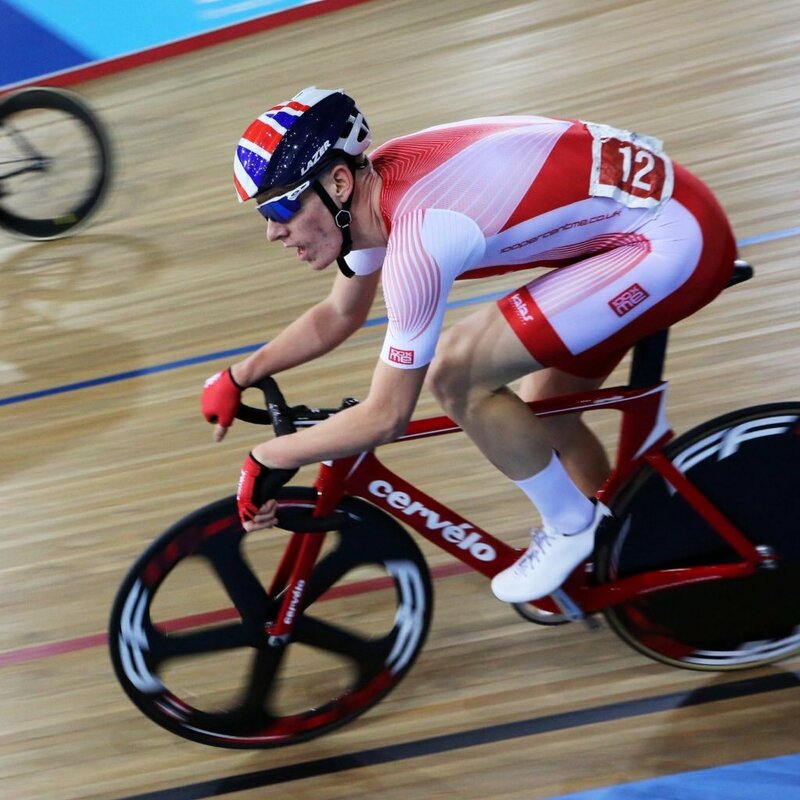 Then last season, riding for the GB senior academy squad, he quickly dismissed any notions that his first year as an under-23 would solely be about adjusting to a new age category. 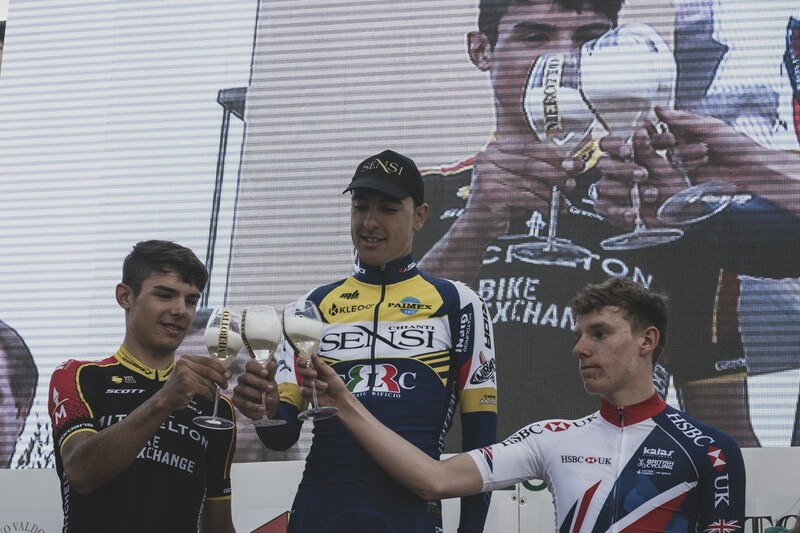 In one of his first races of the year, he took second place in Katterkoers-Iper (the under-23 Gent-Wevelgem), one of the biggest one-day races on the under-23 calendar. He then proved this was no one-off by finishing third a week later in the Italian one-day race, the Trofeo PIVA. A crash in the Tour de Yorkshire interrupted his season a little, but he recovered to complete the Tour de L’Avenir, no mean feat given his age. He wasn’t just a passenger in that race either. As lead-out man for Matt Gibson, he finished 7th on the opening stage after Gibson got caught on the barrier. He then helped Gibson to win stage 5. With such a strong first season as an under-23, it will be fascinating to see how Stewart fares in 2019, especially as he’ll have a much richer race programme. 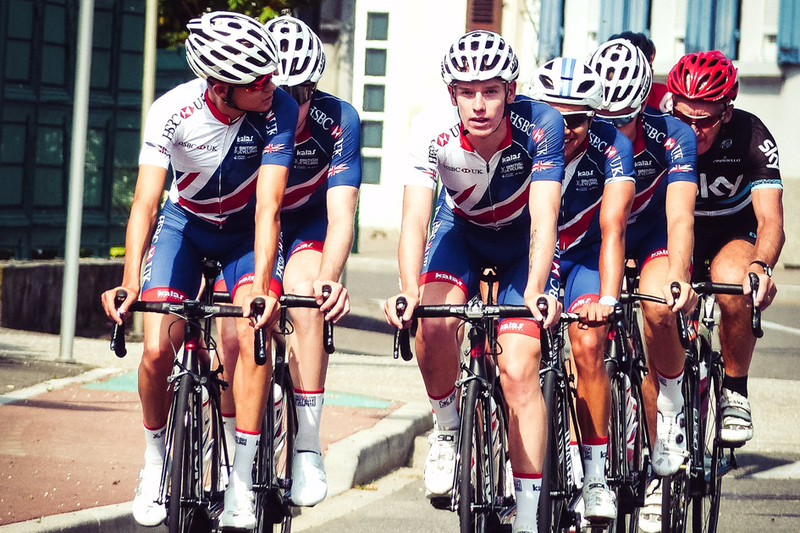 He leaves the GB senior academy to focus purely on the road, joining the new Groupama-FDJ continental development team. Closely linked to the World Tour squad of the same name, it promises to be one of the best organised and most talented development squads around. Jake is also one of the lucky 30 riders being supported by the Dave Rayner Fund this season. The season just gone was your first year in the under 23 ranks. How do you think it went? This year is my first year in the under-23 ranks and, in fairness, I think it went a lot better than I was expecting it to. I think it’s a classic really. You go into a new age category and it’s an unknown. You don’t really know what to expect and, really, you go into it with the target to get around a race or, you know, pick up a result here and there. More than anything, your first year in any age category, especially under 23, is just to learn really. Take plenty of lessons from the season and take that forward into your second, third and final year of under 23 and hopefully progress onto the World Tour ranks. Really, going into the season was just about a big learning curve. It’s more about working as a team and working for a team, because you don’t really get that as a junior. Yes, when I went into the start of the season, I had some targets: get around some Italian races and stuff like that, but I didn’t have anything that was results-based. So, when I picked up that second at Gent-Wevelgem, I was absolutely chuffed, because I was not expecting that. I knew I went into the race with good legs. I’d won a kermesse [Esplechin] the week leading up to that. So I knew I had good legs but, yes, a second was a really good result and I was dead happy with that. Then, after Gent-Wevelgem I went into Trofeo PIVA and I picked up a third there which, again, was just another [great] result. It’s not what I expected in my first year! 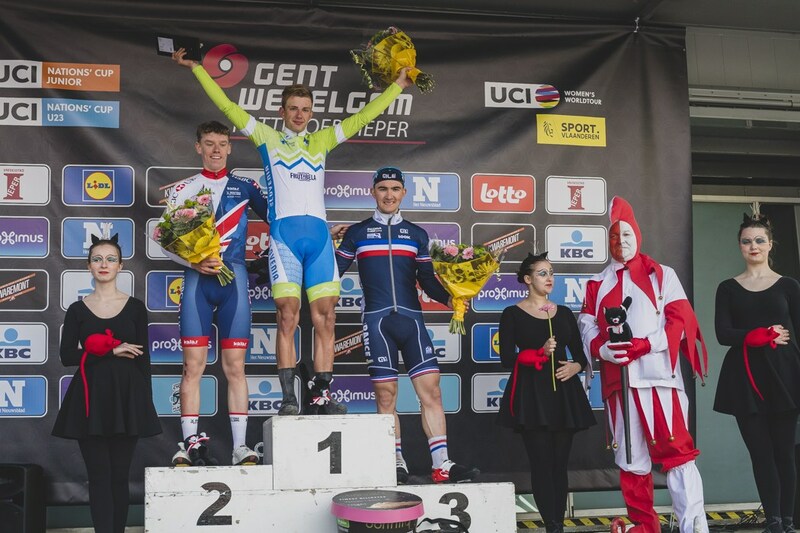 The biggest highlight of the year was that second at Gent-Wevelgem. It was our first race together working as a team; it was the first Nations Cup race of the year. All the boys went into that race [fired up]. We’re a tightknit bunch of lads and we’re happy to work for each other. It all came together and I picked up the second. I was so close to getting a win there. Everyone was doing their job and we managed to get a podium. There’s nothing that tops it. There are plenty of times through last season where us boys just worked together and, you know, got the results that we deserved at the end of the day. The Tour de Yorkshire. That didn’t go as planned. I dislocated my shoulder on the second stage. I was going well in the lead up to it, I had some good legs. I had wanted to go into the race and just learn really and pick up some new experiences, learn from the pros and the best. We had Swifty [Ben Swift] there with us, we had a decent bunch of lads. It was all just about a learning experience and I came away from it on the second day with a dislocated shoulder and out of the race. I think that was the biggest disappointment of my season. There’s nothing you can do about it. It’s an injury and it’s a crash, but it would have been nice to get around and take some more valuable lessons from it. What was it like riding – and finishing – the Tour de L’Avenir at such a young age? Yes, it was a big… I started my season off and I was on the track. I wasn’t going the best on the track for the track season and, after the nationals [the national track championships] in January, I was just absolutely buzzing to get stuck in on the road. That’s where my heart’s always been, on the road, and I was just looking forward to getting on the road. We sat down at the start of the season. We spoke with Keith [Lambert] and Brian [Stephens, who has since moved to Team Sunweb] about my targets for the season and I said, “I fancy doing Tour de Yorkshire if I get selected, Tour de Britain if I get selected, and L’Avenir would be a big shout.” But it wasn’t really until it was announced that the European track championships, would be at the same time as Tour de l’Avenir that I had to make a decision. I’d picked up some good results through the season – I was sprinting well on the road, I went well at Gent-Wevelgem, went well at Trofeo Piva – so that’s when I turned around and said I wanted to do the Tour de l’Avenir instead of going to the track Euros. The first year in the Tour de l’Avenir is always going to be a hard race. It’s the biggest race in the calendar, really, behind the World Championships. To finish it as a first-year, I was dead happy with that and I’d picked up some good results there as well: a couple of top 10s [he finished 7th on stage 1 and 11th on stage 6 – Ed]. I was trying to help out [Matt] Gibson on the first day, but he got put in the barrier so I just had to carry on for the line and picked up a top 10. I think that was also a highlight of my season, helping Gibson to get that win, because you could just see how much it meant to him. I had good legs going into l’Avenir I think. Personally, I would have probably been able to pick up some better results there if the days had gone my way and if breaks hadn’t stayed away and what-not. But you can’t fault it. I was with a decent set of boys, we all rode for each other. We all rode really well. Gibson obviously got that stage win and that. I think, in fairness, that was also a highlight of my season, helping Gibson to get that win, because you could just see how much it meant to him. It was a big effort from all the boys that day. Everyone just got stuck in and everyone pulled their turn, everyone did their job and it came off with a stage win. So that was another highlight. But just to get around Tour de l’Avenir, you know, hilly parcours … I was happy to get through those last three or four days, where it was just up in the mountains. I took plenty of lessons and learned a lot from the Tour de l’Avenir. I think it’s a race I will certainly target again this year and hope to go to and, hopefully, pick up some stage wins, if my season’s going well. And the result in Gent-Wevelgem, is that an indication of the type of rider you are do you think? Is that the kind of race that suits you best? Yes, those punchy stages, those punchy races, with small group finishes, even those big group finishes. Just those grippy finishes; grippy courses are definitely what suit me, always have done. I’m not a pure climber. I’m not a pure sprinter. I can climb well. I can sprint well, I’ve got a quick finish on me, but I’m not a pure sprinter by any means. So those grippy days in the saddle, where it’s a race of attrition and people are going out of the back instead of people going out the front, are definitely what suit me, you know. Gent-Wevelgem and those classics are the races that I always look to get a result from and they are also the races that I love riding. Those early season races, those spring classics. Trofeo Piva again – that’s another grippy race, where I did well last year and came away with a decent result. Yes, I really enjoy riding those races. So it’s definitely an indication of the kind of rider that I am. I enjoy doing the track but my love is on the road. That’s where I see myself progressing the most. I always have done. 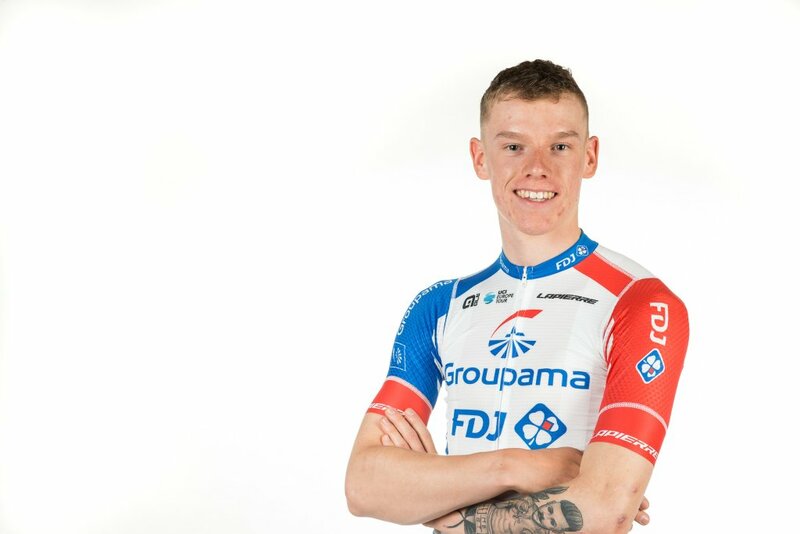 For 2019, you’ve left the GB academy and are moving to Groupama-FDJ’s development team. What prompted that move? It’s just the focus of wanting to go onto the road, really. As I mentioned earlier, I enjoy doing the track but my love is on the road. That’s where I see myself progressing the most. I always have done. I enjoy doing the track. It’s a good laugh but I think, personally for me, I’m going to excel best on the road. That’s just what prompted my move really. Just wanting to focus on the road and progress better on the road. Don’t get me wrong, the academy set up is absolutely amazing and the support we get there is phenomenal but, for me, I just wanted to move away from that British bubble. I wasn’t really too bothered about focussing on the track and that is predominantly where the focus is for the academy boys. It was just wanting to focus on the road for next year and go at that. Put all my eggs in that basket and just fully commit to the road. It’s highly unlikely that I would have been able to go to the Olympics in that pursuit team … I didn’t want to get caught in that bubble and get sucked into it. It was also personal reasons for me, as well. I look at the team pursuit squad and going to the Olympics. You know, it was always a dream to go to the Olympics, do a team pursuit and then go professional on the road. But you look at the amount of strong boys that are in that team pursuit ahead of me and even boys that are following up now as well. It’s highly unlikely that I would have been able to go to the Olympics in that team pursuit team. Certainly in 2020 and 2024. I didn’t want to get caught in that bubble and get sucked into it. Be fighting for spots for the next two or three Olympic cycles and then not make it on the road either. So, for me, I recognised that I’m probably not going to do it on the track and therefore wanted to put all my eggs in going on the road. The Groupama-FDJ set up that they’ve got this year is an amazing opportunity. I was approached with it fairly early. I spoke with a lot of people. I put a lot of thought into it. I spoke with as many people that could help me, basically. At the end of the day, I just decided that that would be the best route for my development as a bike rider and going forward into, hopefully, the World Tour and a successful career. That’s just what I felt was best for me. Can we still expect to see you on the track at all? Certainly my focus is on the road now. That is what I’m going to focus on. You know, I haven’t ridden the track at all this winter. I was possibly planning on riding the national championships in January, but only ride the fringe races. That’s fallen through now because of another training camp in Calpe. So you probably won’t see me on the track this year, for sure. I’m just putting all my eggs into going on the road and hopefully having a good season. I’m sure you’ll see me on the track again at some point. I won’t be able to stay away for that long. Madison is what I love doing on the track. That is by far my favourite event on the track, so I don’t think I’m going to be able to stay away from that for too long. 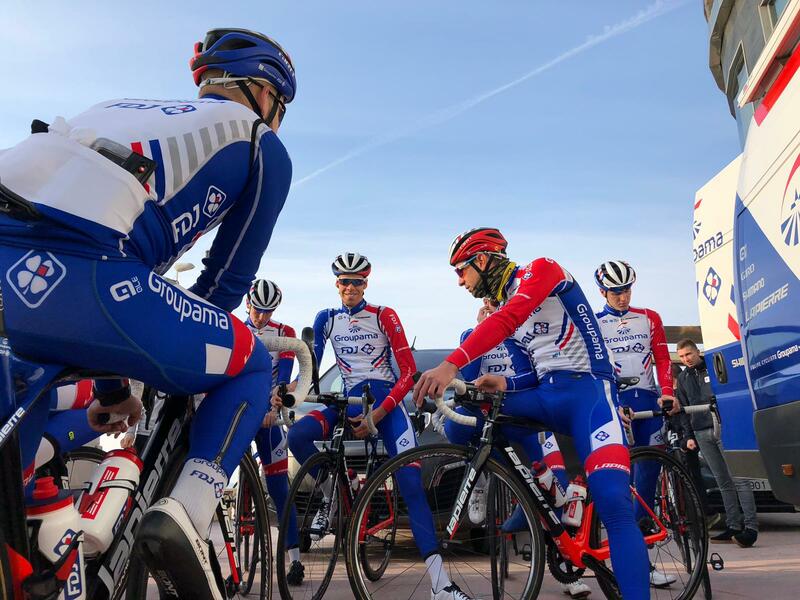 We’ve got some decent track boys in the Groupama-FDJ continental team. You’ve got Clement Davy. You’ve got Morgan Kneisky. Two really quick track boys. Obviously, Kneisky is a multiple world champion. You’ve got Benjamin Thomas in the World Tour squad. So there are some decent track boys there and I’m sur I won’t be able to stay away from the track forever. Maybe next winter I can get some madison work in and see where that takes us. But, for this year, my focus is all on the road. My main focus will be all on the road from now on. Where are you going to be based next season? And how is your French?! One of the reasons why I moved away from the academy is because I just wanted to get out of that British bubble. I don’t know if I want to be stuck in a British team and it’s all about learning: learning languages, new experiences, culture and all that. So I am trying my hardest at learning French and it will come eventually. I really am applied in trying to learn the language and hopefully, at the end of the season, I’ll be able to speak to you a bit more on how my French is. Next season I’m based in France. I’m based in France from February. We’ve got a service course down in Besançon in France. So that’s where the team’s based. That’s where we’ll all be based next year. That’s part of their development model about having us all together in Besançon for next year. Can you say anything about what your race programme will look like? Do you know when the first race will be? I’m having to knuckle down and get serious now, because it’s not far away and I certainly don’t feel like I’m ready! My first race is 2nd February at the Boucles de L’Essor, a French elite national race. Then there is the Circuit de L’Essor the day afterwards, on the 3rd. And then three more elite national races on the 8th, 9th and 10th starting with the Tour de Basse-Navarre, Ronde du Pays Basque and Trophée de L’Essor. I can’t really say too much more on the rest of my calendar, but obviously my hope is Gent-Wevelgem. Hopefully, I’ll ride that with the national team. Tour of Flanders again with the national team. I hope I’ll make a return to the Tour de Yorkshire again and not break myself this year! You’ll expect the team to be riding all the big stage races but, for me, at the moment I can’t say too much on what I’ll be looking like after around March time. We just need to see how the legs are and see how I’m going. It’ll be a good season with plenty of good races to target and plenty of opportunities coming up next year. Worlds road race for me, that’s the big target. The race is definitely going to suit me. Worlds road race for me, that’s the big target. The race is definitely going to suit me. It’s a grippy race. It’s going to be a race of attrition. There’s going to be people going out the back of the race. Obviously it’s on home turf. So, yes, that will definitely be a target. Hopefully L’Avenir. A stage win at l’Avenir would be nice. Depending on how the legs are, you know. I was sprinting well last year. Hopefully I will carry that through to this year and, hopefully, my fast finish will put me in for a stage win. Paris-Roubaix [the U23 version], Liege-Bastogne-Liege [the U23 race]: I’ll hopefully get some good results there. Again two races that suit me. Tour de Flanders also. Another hard race. I DNF’d that last year, because I just didn’t have the legs on the day but that would definitely be another target for myself. To be fair, I haven’t really sat down with the team and set myself goals. The way we’ve gone about it is that this year’s all about a learning experience and about progress really. Just building myself as a bike rider. I mean, my goals will be clearer as I start the season and see how the legs are and see what I need to work on and where I’m looking at heading. At the moment, I’ve got a good training camp behind me. I’ve got a good training camp coming up. And then obviously I’ll be based in France with some good roads. So I’m sure there’ll be plenty of targets that come up, but those big races for me are where I’ll be looking to perform. Many thanks to Jake Stewart for his time and to his Groupama-FDJ Continental Team for help in providing images for this piece. Also thanks to photographer Andrew Peat who runs the excellent espoirs.world for his support in providing excellent images. Jake is supported by the Dave Rayner Fund this season.